California author Josh Luke, PhD, a faculty member at the University of Southern California, is America’s healthcare affordability authority. After opening his career as a sports marketer, a family encounter with the health care delivery system changed his direction to enter the health care arena: he became a hospital CEO and a healthcare strategist. In addition to being a motivational speaker, acclaimed internationally for his educational, motivational and often humorous presentations he has a rich teaching history in public policy and Healthcare Administration at numerous universities, most recently designing healthcare course work for the University of Southern California's Sol Price School of Public Policy. He also dedicates time each year to being active in health care advocacy in our government. Having read EX-ACUTE, his first book outlining the flaws in American healthcare, Josh turns to a solid book of advice on controlling costs of healthcare for businesses. His goal: to challenge us with better ways to deliver high quality, cost effective care for all people. 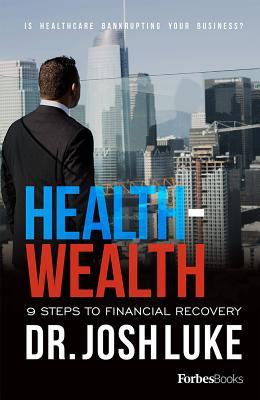 Using his own experiences with the healthcare delivery in this country Josh outlines nine steps to achieve financial recovery in a system where healthcare is inordinately and progressively expense. His steps include offering alternative insurance models, reduce absenteeism, convert to direct primary care, conduct an independent carrier and broker expense review, implement disease specific value and care management programs, reward long-term employees with full genome sequencing and DNA testing, utilize data, artificial intelligence and machine learning, promote telehealth and emote monitoring services and educate and celebrate integrative medicine. Though Josh’s writing is often glib and acerbic, he is definitely placing before us a positive manner in which to decrease health care costs and improve healthcare delivery. This is a book about today in American medicine and the changes that plead to be made.